Over 2000 sq. 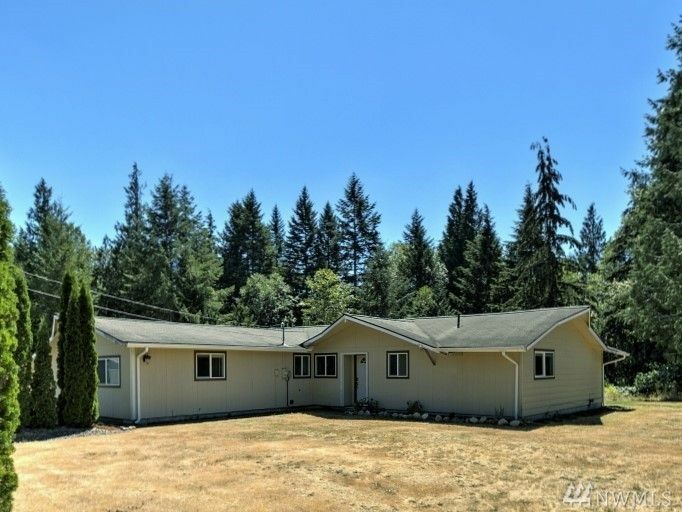 ft. One level living on almost 2 acres. Bright, clean & newly remodeled. 4 bedrooms. 2 bathrooms. Master bedroom on private wing has walk-in closet, full bath w/soaking tub & private sitting room in it's own separate wing. Beautiful floors! Open concept kitchen is the centerpiece of the home. The walk-in pantry is a cooks dream. Bonus storage room off of living & dining room. French doors lead to back patio. Storage shed. Plenty of room to add garage/shop or enjoy your privacy.